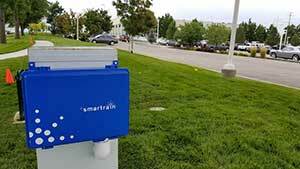 Smart Rain, a partner of LawnButler, introduced a new controller and software platform. The company sells its products directly to property managers and contractors and uses a patented approach to predicative watering. Smart Rain’s controller is compatible with Wi-Fi, Bluetooth and cellular devices. It includes a 5-inch full color touch screen display and waterproof controller box. The controller is expansion- and rain-sensor capable, can manage up to 48 zones and features multiple flow sensor and master valve capabilities. Flow sensing and consumption analysis.